Statements from the U.S. National Highway Traffic Safety Administration, or NHTSA, confirm that tired vehicle operators pose just as much risk as those who are driving while under the influence of drugs or alcohol. In fact, the severity of collisions caused by sleepy drivers far surpasses damage caused by high or drunk drivers. Since tired or asleep drivers have delayed or nonexistent reactions, the accidents usually occur at full speed and with little to no evasive techniques mitigating the damage. 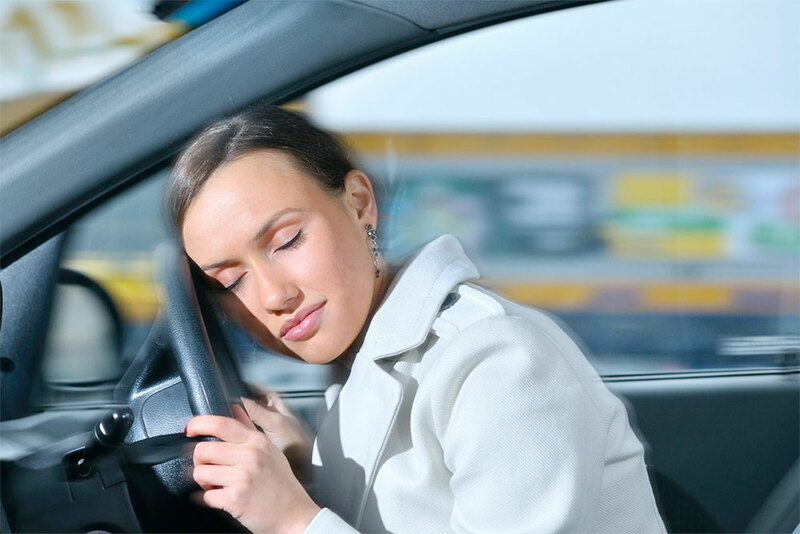 Unlike the known risks of driving under the influence, people often underestimate the dangers of driving while sleepy. Furthermore, drivers may not realize just how tired they really are before slipping behind the wheel. Friends cannot even intervene since it is impossible to tell the true level of sleepiness someone is feeling, despite frequent yawns or droopy eyes. To prevent the risk of a collision, the drivers themselves must watch for the warning signs and avoid driving until feeling a bit more rested. Age and experience can help drivers identify when they are feeling too sleepy to drive. The National Institutes of Health, or NIH, note that young, inexperienced drivers show higher incidents of collisions caused by falling asleep while driving. Busy social lives, long work hours and demanding school schedules may contribute to the fatigue these younger drivers feel. Despite this link, drivers of any age are susceptible to the dangers associated with driving while tired. Sleepiness causes collisions most often in the hours between midnight and sunrise. Lunchtime also poses a risk since a full belly causes sleepiness and the second wind doesn't come until later in the afternoon. Drivers can reduce the risk of falling asleep at the wheel by avoiding driving at these two dangerous times of the day and night. If that's not possible, drivers can mitigate risk by learning to tell when sleepiness is a problem. Yawning, droopy eyelids, poor speed control, swerving and bad judgment calls while tired all indicate the driver is too sleepy to continue piloting the vehicle. Drivers who feel sleepy should pull over and rest as needed. While resting, it's smart to either take a nap or a walk to jump-start the mind and body. If the fresh air during the walk doesn't do the trick, drivers should close their eyes for twenty to thirty minutes for a power-nap. If this situation comes up often, drivers may want to carpool with someone to switch off when tiredness takes over. Prevention includes practicing adequate sleep hygiene by getting at least eight hours of rest in a pitch-black room each night. Since sleep apnea prevents feeling truly rested, affected individuals must receive treatment for that condition to truly avoid sleepiness while driving. Furthermore, drivers should never take medications that can cause drowsiness before taking a long drive alone or with others.